The Maitland Legal History Room was established in 2000, and expanded and refurbished in 2015. The room is named after Frederic William Maitland FBA, the Downing Professor of the Laws of England from 1888 until 1906, who is regarded as the 'father' of English legal history. 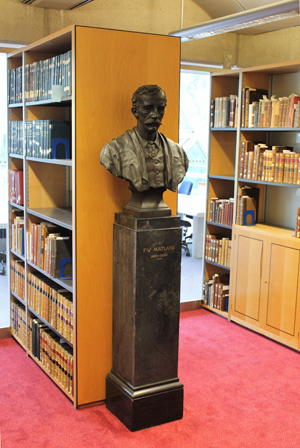 The room offers a focal point for the study and research of legal history within the Squire Law Library and is available to academic scholars who wish to use the antiquarian books held by the library. The collection includes many primary sources and treatises concerning English legal history as well as materials relating to Roman law, modern European legal history and early works on public international law. Researchers wishing to access collections held in the Maitland Legal History Room should contact David Wills, Squire Law Librarian in the first instance.